The third installment of the Presidential Lecture Series, hosted by President John L. Anderson, will be held on Tuesday, March 5, 2013. 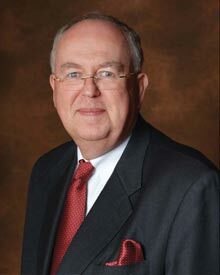 John W. Rowe, chairman of the IIT Board of Trustees and chairman emeritus of Exelon Corporation, will introduce the lecture entitled, “Building the World of Tomorrow,” presented by IIT Mies van der Rohe Visiting Professor Werner Sobek. Building the World of Tomorrow requires nothing more and nothing less than a paradigm shift. We have to change our general attitudes from compartmentalized, short-term thinking to a holistic view based on the long term. We have to learn to take into consideration the whole life-cycle of our built environment, i.e. its design, its construction, its use, its refurbishment, and finally also its deconstruction. This implies a much wider focus than usually associated with “green building.” For example, instead of thinking only of energy efficiency we also have to learn how to make our buildings fully recycleable while maintaining full user comfort and functionality. Werner Sobek presents a selection of tools, materials, and planning techniques making such a paradigm shift possible. His building designs as well as his research projects provide an exciting glimpse on what is already feasible—and what might become reality in the future. Watch the first two IIT Presidential lectures here. RSVP to the President’s Office no later than February 26. Please phone 312.567.5196 or email hmatson@iit.edu. 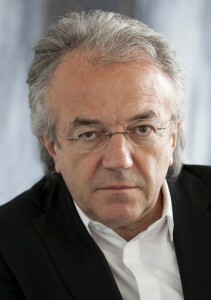 Werner Sobek is professor and head of the famous Institute for Lightweight Structures and Conceptual Design (ILEK) of the University of Stuttgart. The ILEK specializes on the research into new materials and new concepts for lightweight and ultralightweight structures. He is also Mies van der Rohe Professor at IIT. Werner Sobek studied architecture and structural engineering at the University of Stuttgart in Germany. He holds a Doctoral Degree from the University of Stuttgart. As successor to architect Frei Otto and engineer Joerg Schlaich, he advocates a unique approach of bringing architects and engineers together, both during their training and in their professional activities. Werner Sobek’s office is one of the leading consultancies in the world. It excels through innovative design, excellent engineering and sophisticated concepts for sustainable buildings. A particular focus lies on special structures in steel, glass, titanium, concrete, textiles and wood. He has offices in Stuttgart, Dubai, Frankfurt, Istanbul, Moscow, New York, and Sao Paulo.